Mobile, storable, sturdy, and versatile, this unit can be useful into any program. 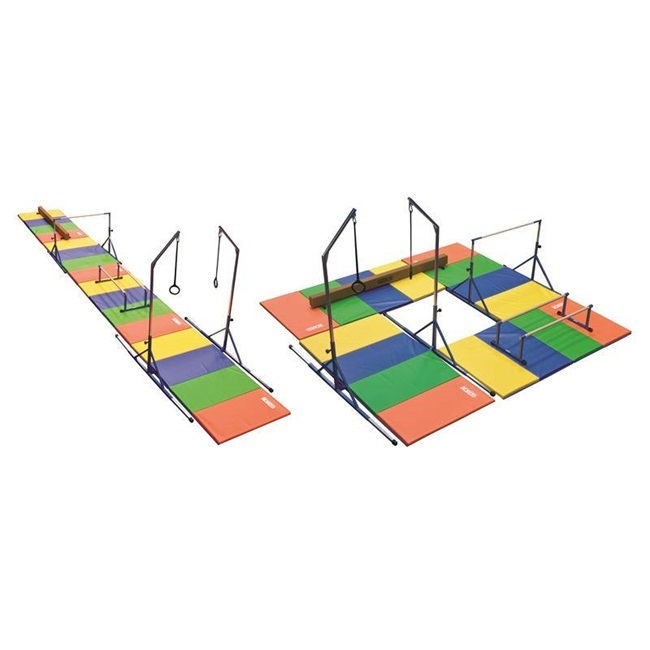 Components: Gibson Preschool Bar, Gibson Junior P-Bars, Gibson Junior Ring Tower, Gibson 8' Suede Practice Beam, and four Gibson 4'x 8' Rainbow Panel Mats. All components designed to work with 4' x 8' panel mats.